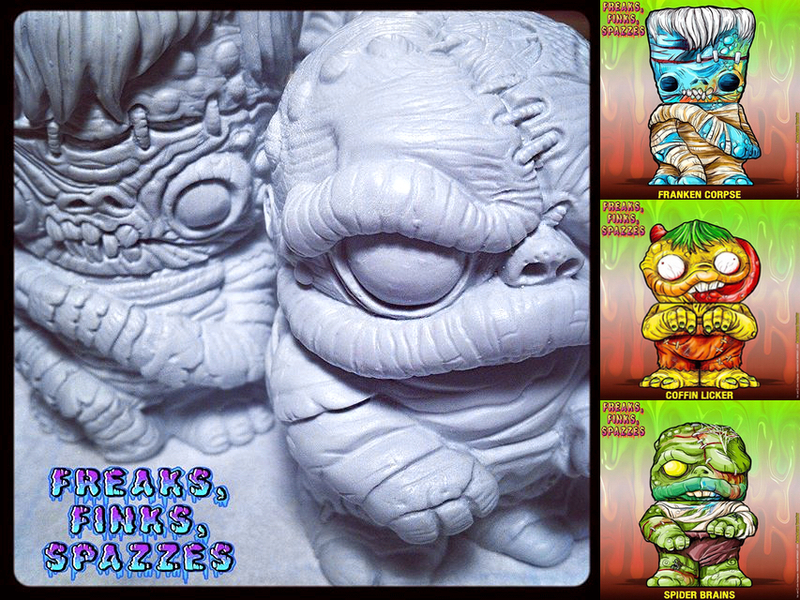 Super7’s Power Con exclusive M.O.T.U.S.C.L.E Slime Trash Can sets…. 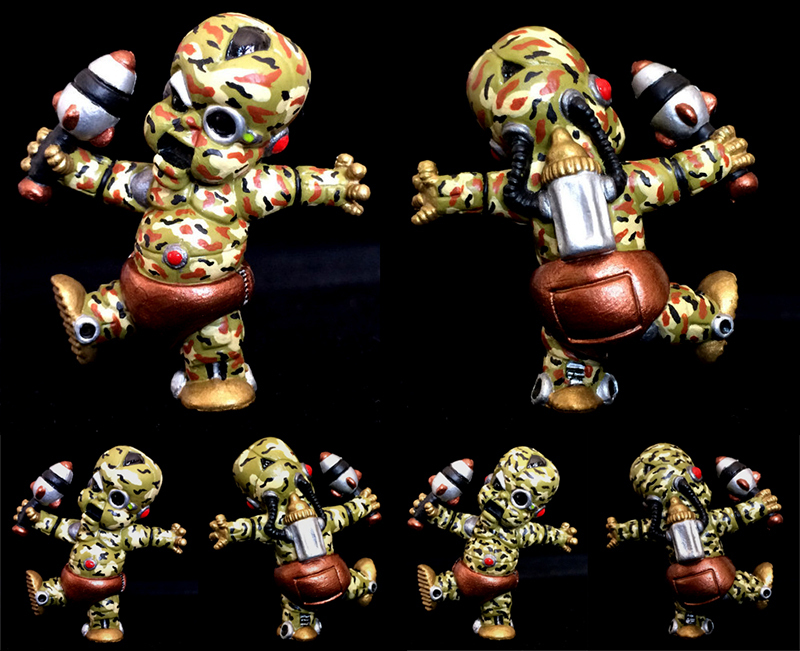 With Little Rubber Guys‘ debut mini figure line “Rise of the Beasts” proving to be a huge success since it’s debut a couple of months back, we’ve finally started to see a number of different customs cropping up- the first that we’ll be featuring coming in the form of this stunning pair from series’ prototyper, Luke Harris of Imperfecz! 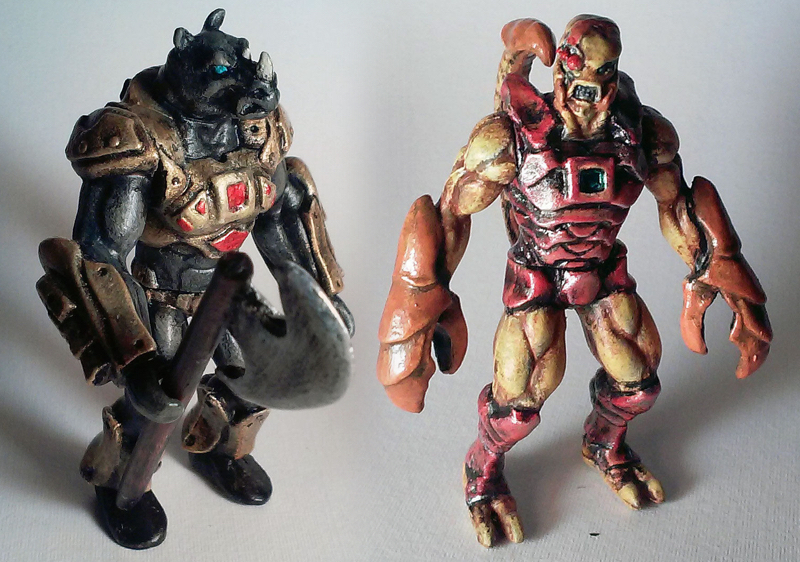 Taking on both Scorpion and Rhino designs, the fully articulated, Glyos compatible PVC minis have been treated to paint apps inspired by the series’ main influence, Takara’s Battle Beasts, coming in a plethora of muted tones and finished with detail hugging black washes. Currently up for auction via eBay (here and here) with a starting price of just $0.99, bidding ends next Monday, January 12th, so be sure to head over and place yours to be in with a chance of bagging the pair!